Currently those in the National Guard have access to FTA which covers tuition up to 100% up to $250 per semester credit and not to exceed $4500 per year.Â Be aware that funding can be limited due to the state budget. We have heard of regions that use up all of their funding early and this is not guaranteed. In order to be eligible you need to be a part-time ARGN in active duty status. While you are taking your programs you must remain in the National Guard during your programs. Many scholarships are available including those from colleges you are attending. Be sure that when you request information from the school you find on our site to inquire about what scholarships are available. These can help you afford additional schooling if the tuition amount is over the $4500 maximum per fiscal year. To enroll after you find your school you need to set up an account at the GoArmyEd portal. You can select New User and begin filling our your profile and application. Be aware that you can’t actually enroll in a course prior to being approved for TA. Don’t enroll in a school until you hear back from Tuition Assistance that your request was approved. Sometimes this can take time and depending you what program you are taking sometimes your request is denied. The school you are attending cannot help you fill out your TA. Also be aware that any course you enroll in and fail to receive a passing grade you will be responsible for paying back those funds.. If your spouse is interested in going back to school have her check our MyCAA. The program is designed for spouses so they can receive up to $4000 per 2 fiscal year period for a portable career. The careers can range from real estate to medical. Most certificate programs from our Featured Military Schools are under the $4000 tuition amount which means your wife won’t have any out-of-pocket money to obtain her certificate. The program does have a limit and she can’t take any course that is higher than an Associate’s degree. Often you'll have schools attend your Armory and do a presentation about thier school. You don't have to attend any of these schools as you are open to attend any school that offers FTA. Be sure to look at the Featured Military Schools we have listed as many of them offer both certificate and degree programs online and can be less expensive that other schools so you have little to no out-of-pocket money. The Chapter 33 benefits of the Post-9/11 GI Bill provide educational assistance to military members who served on active duty on or after September 11, 2001, and can include coverage of fees and tuition, housing allowance, stipends for books and supplies, and transferability of benefit funds to eligible spouses and children. 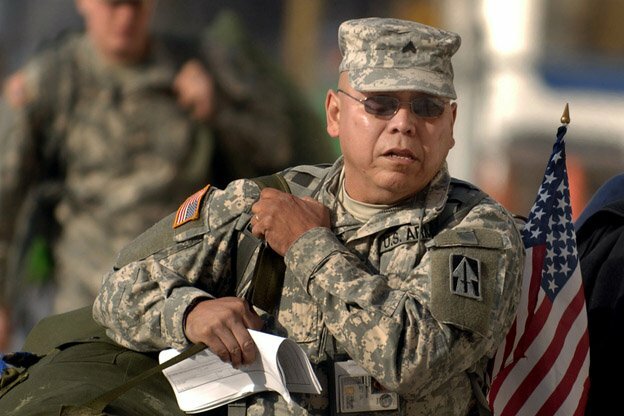 National Guard Soldiers on drill status who have served at least 90 aggregate days on active duty after September 10, 2001, or served 30 continuous days on active duty after that time and were honorably discharged due to disability are eligible for the benefits provided by Chapter 33 of the Post-9/11 GI Bill. -	Licensing and certification test reimbursement. Army National Guard soldiers and reservists may take advantage of any or all of these benefits at the military friendly schools listed on our site.